But sometimes, it takes more than scissors to do the job. 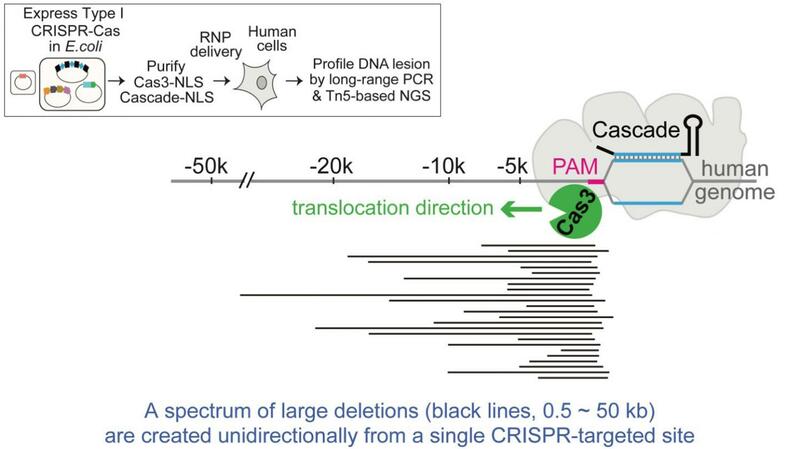 Now, a collaborative international team has unveiled a new CRISPR-based tool that acts more like a shredder, able to wipe out long stretches of DNA in human cells with programmable targeting. The resulting tool provides a way to target and delete much longer expanses of DNA than current Cas9 tools can. That power could be put to work in genetic research to understand the underpinnings of disease — and potentially in treatment for diseases tied to long stretches of DNA. Some CRISPR-Cas9-based therapeutic uses have been reported – including a controversial editing out of a receptor gene that enables HIV to enter cells in the embryos of two babies reportedly born in China. But worries about CRISPR-Cas9 making unintended edits in normal areas of human patients’ DNA have also surfaced. Further work will be needed to see if the “shredder” approach avoids this issue.